I've found an interesting Youtube channel called "Motorweek Retro Reviews". Real reviews of old cars back when they were new from the PBS Motorweek show. Take a look at this one. It's a 1986 Buick Riviera with a CRT touchscreen! I think it's so amazing. That interface is almost identical to our modern car touchscreen...the only difference is that it uses a monochrome CRT instead of a color LED touchscreen. Ahead of it's time by a good 30 years. Incredible! Cool thread, Rick. I've been subscribed to the MotorWeek YouTube channel for some time and have been watching this show since the '80s. Glad to see I'm not the only one! Side note: That GM CRT display reminds me a bit of Nolan Bushnell's ETAK early Nav systems for cars. 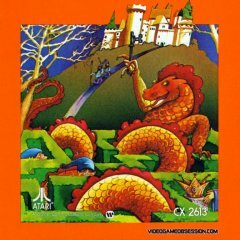 It also makes me think of Dona Bailey who worked on Centipede at Atari and had previously done some assembly language programming at General Motors and had worked with cruise control and display systems. I wonder if there's a tiny Atari connection here.